We have pan ready dab available which is made of the common dab. The common dab is also known by its Latin name, which is Limanda limanda. However, in the past the Latin name used to be Pleuronectes limanda, since the common dab is a right-eyed flounder. You can find the fish in the north-eastern part of the Atlantic Ocean, which is also known as FAO fishing area 27. The common dab particularly lives in the North Sea. Since the North Sea lies next to the Netherlands we are able to catch our common dab ourselves. After it is caught we immediately process and deep-freeze the fish to keep it fresh. As a supplier we have pan ready dab available in all sizes. Pan ready dab is also very beneficial since it is easy to prepare in the kitchen. We sell our pan ready dab without its head, gutted and skinless. We also have whole dabs available at our ‘North Sea Fish’-page and the Limanda aspera (Yellowfin sole) at our ‘Fish Worldwide’-page. The common dab is highly valued for its flesh. 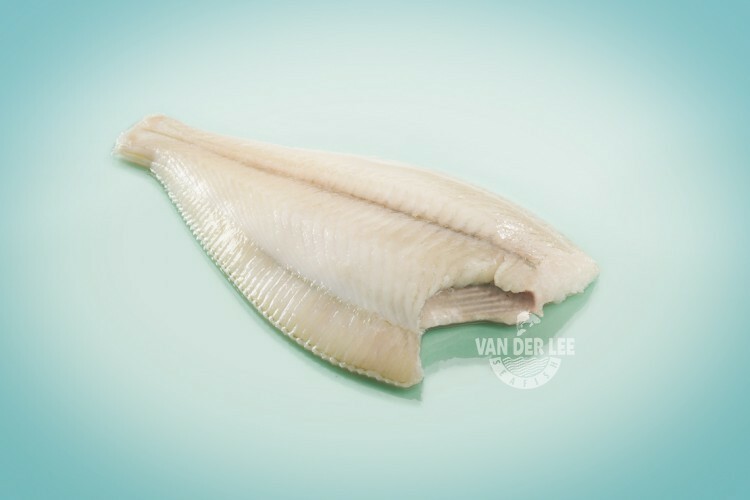 Its flesh is tender and has a mild and sweet flavour, which is similar to the flavour of plaice. Pan ready dab is quite nutritious. Just like every fish it contains a lot of B vitamins and proteins. The fish is also a good source of omega-3 fatty acids, which is proven to reduce the risk of a heart disease. One hundred grams of pan ready dab contains about 95 calories, which depends on the way in which you prepare it of course. Pan ready dab does not contain any carbohydrates, unless you bread or batter it. We mainly export our pan ready dab to catering industries in Spain. However, dab is also quite popular in the Japanese cuisine where they eat the fish dried. There are also other ways to prepare the fish. For example you can prepare it by frying, grilling, broiling, baking and steaming. Some people like to roll up dab fillets and stuff them with other meat. However, you can also grill the dab with garlic butter. Another way to prepare the pan ready dab is to cook it and serve it with lemon, capers and parsley. This will also make a really delicious and healthy dish.